Guess how we spent our Valentines Day yesterday? We went and picked up our new washer and dryer!!! Who would've thought this would be so exciting? 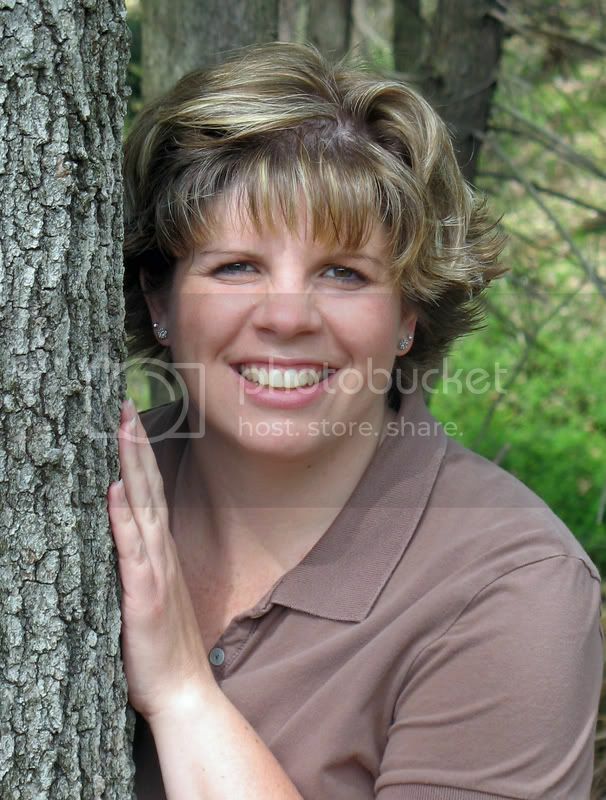 Happy Valentines Day, honey! 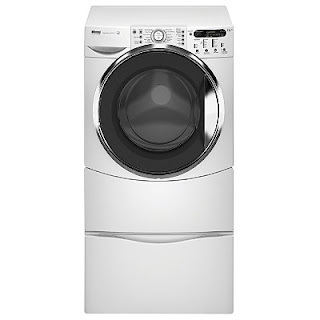 You can find out more about the Kenmore Elite HE5T 4.0 Litre front loading, energy efficient washer and dryer combo can be seen here (in case you're in the market for a new set). Also, the door prizes for the Scrapbook Savvy Mountain Retreat are coming in fast and furious and there are some great ones! It's hard for me to stay away from them... pretty ribbons, great stamp sets, storage units, beautiful papers, class kits, rub-ons, wall art, magazines.... anyone coming, you will be happily surprised! And, the classes are just about up which means registration will begin shortly. You know what? There will be some excellent classes. These ladies are so talented, and the projects are fabulous! You will be so happy with the projects that you can make. Check out the progress on the retreat here. 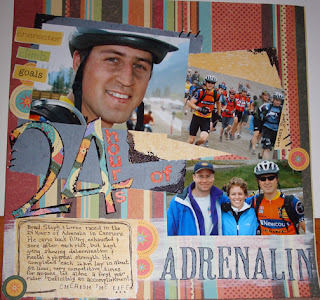 On another note, here's a recent layout I did for a mountain biking race, my hubby was in "The 24 hours of Adrenalin."